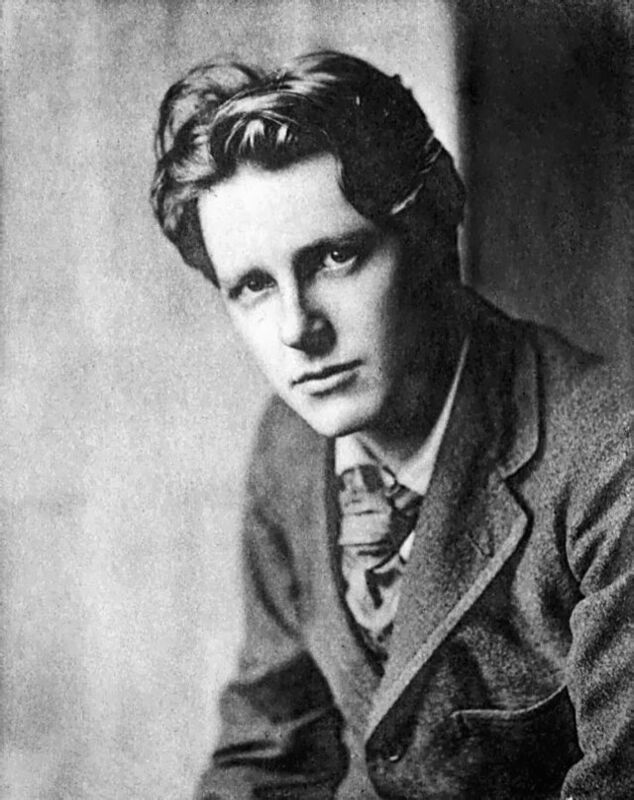 English poet Rupert Chawner Brooke was born on August 3, 1887. The son of Rugby School’s housemaster, Brooke excelled in both academics and athletics. He entered his father’s school at the age of 14. A lover of verse since the age of nine, he won the school poetry prize in 1905. Popular in both literary and political circles, he befriended Winston Churchill, Henry James, and members of the Bloomsbury Group, including Virginia Woolf. Although he was popular, Brooke had a troubled love life. Between 1908 and 1912, he fell in love with three women: Noel Olivier, youngest daughter of the governor of Jamaica; Ka Cox, who preceded him as president of the Fabian Society; and Cathleen Nesbitt, a British actress. None of the relationships were long lasting. In 1912, after his third romance failed, Brooke left England to travel in France and Germany for several months. Upon his return to England, Brooke received a fellowship at King’s College and spent time in both Cambridge and London. In 1912, he compiled an anthology entitled Georgian Poetry, 1911-12, with Edward Marsh. The Georgian poets wrote in an anti-Victorian style, using rustic themes and subjects such as friendship and love. While critics viewed Brooke’s poetry as too sentimental and lacking depth, they also considered his work a reflection of the mood in England during the years leading up to World War I.